During the past few weeks, many people contacted me personally and asked about the things I use to build an income online. So I decided to list all of my favorite resources & tools at one place. ClixSense is a very popular money making website which is paying since 2007. 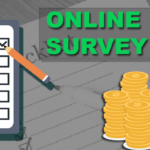 You can earn money on ClixSense by taking online surveys, completing tasks & offers, through affiliate program & more. 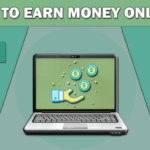 Neobux is the world’s best paid-to-click site which is online since 2008. 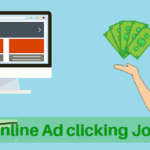 You can earn money on Neobux by clicking ads, playing games, completing mini jobs & offers, through affiliate program & more. Swagbucks is the web’s most popular rewards program that pays you money for doing everyday things you do online. Ways to earn money from Swagbucks: Watching videos, online shopping, answering polls, surveys, surfing the web and much more. If you need more websites then you should check these 10 best money making websites list. If you are new to blogging then check this step by step guide to create a blog. GoDaddy is the world’s No. 1 Domain registrar service. You can get a domain name there for a low as Rs 99 per year. GoDaddy also offers cheap hosting services. Click here to register a domain name with discount. SiteGround is one of the world’s most trusted & highly rated web hosting services in the world. It uses a unique service called as “SuperCacher” to help websites load faster, has high-speed servers & provides one of the best customer support. You can host your website or blog there for as low as $3.95 per month(60% discount). StudioPress WordPress themes use Genesis Framework and are very clean, light weighted, highly secure & fully optimized for SEO. If you are looking for a theme to target higher rankings in search results then no other themes are better than those of StudioPress. Here is what CEO of WordPress says about StudioPress themes. Get Genesis Framework + Themes here. We all make grammar mistakes while writing content. Most of the times we rectify our mistakes while re-reading the content but sometimes we fail to correct our mistakes even after reading for several times. So there is a tool called Grammarly, which made it possible to rectify all of our mistakes within few seconds. Grammarly is one of my favorite tools because it not only shows us where the mistakes are but it also recommends possible solutions for all of our mistakes. Grammarly is a free tool but if you need your content to be 100% mistakes free then you can get the premium Grammarly tool for as low as $10 per month.